Hotel Café du Sud arranges tours in the desert and excursions in 4X4 vehicles. 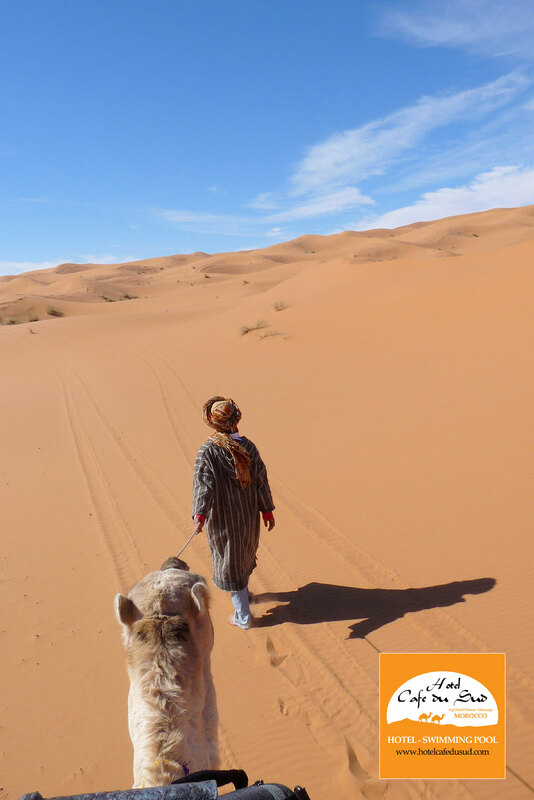 Explore the Sahara Desert and get to know different places around Morocco. 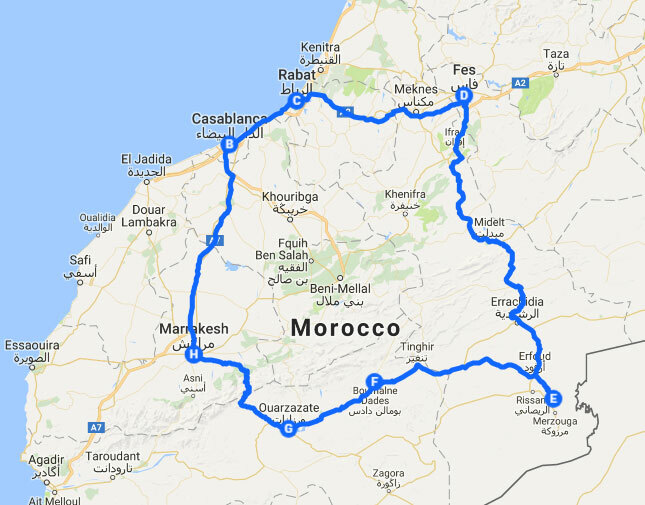 We maintain a small fleet of new 4WD vehicles driven by experienced local drivers who will move you in total comfort throughout fabulous destinations in Morocco. We can organize your tour in Morocco for the best price and security. 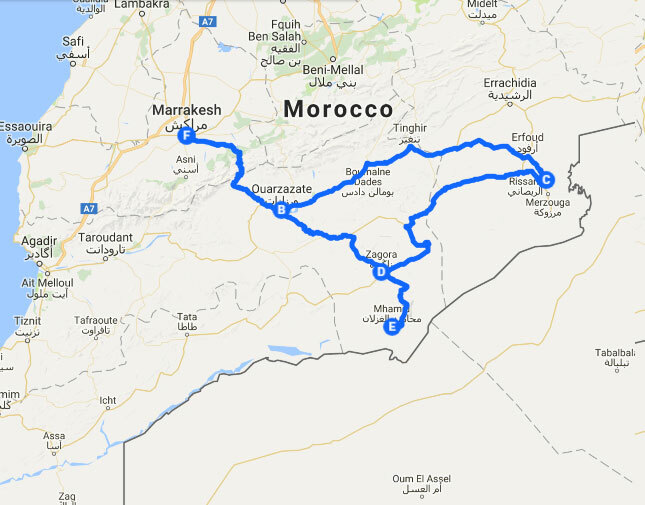 We can arrange transfers from/to any city in Morroco, in comfortable four-wheel vehicles. We can also organize tours by bus for larger groups. 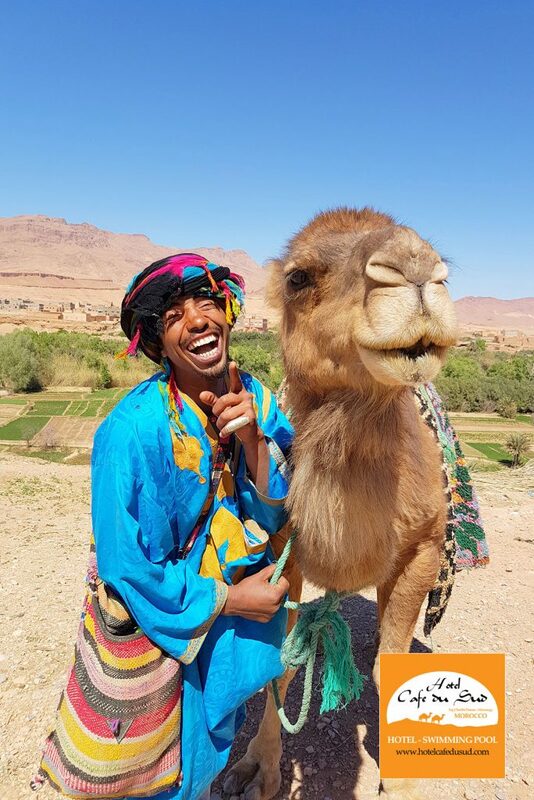 Our trips in Morocco will make you appreciate the most beautiful Moroccan sceneries, its tasty food, and welcoming people. We want you to be a traveler and a friend, not just one more tourist. 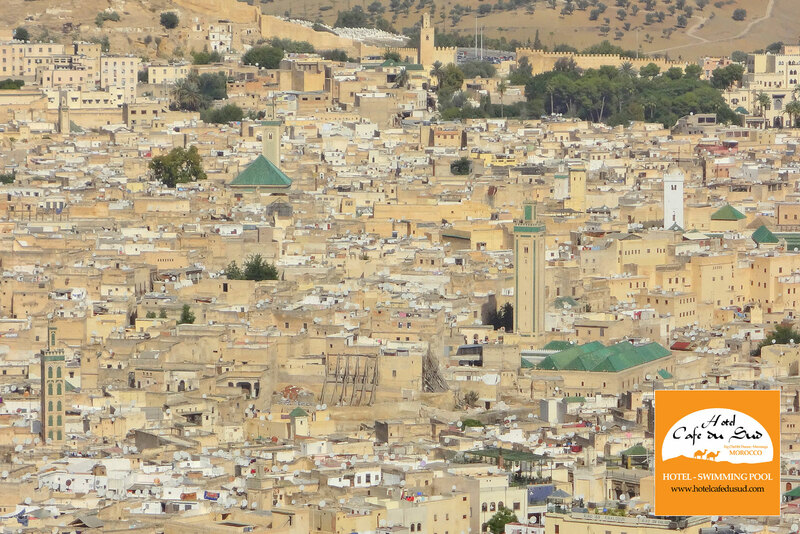 Explore Morocco, get carried away by the sense of adventure, visit the exotic souks, medinas, and ancient kasbahs. For all this, Morocco is distinguished as the “Kingdom of Senses,” because of all we can see, hear and smell, but most of all for what you will feel. 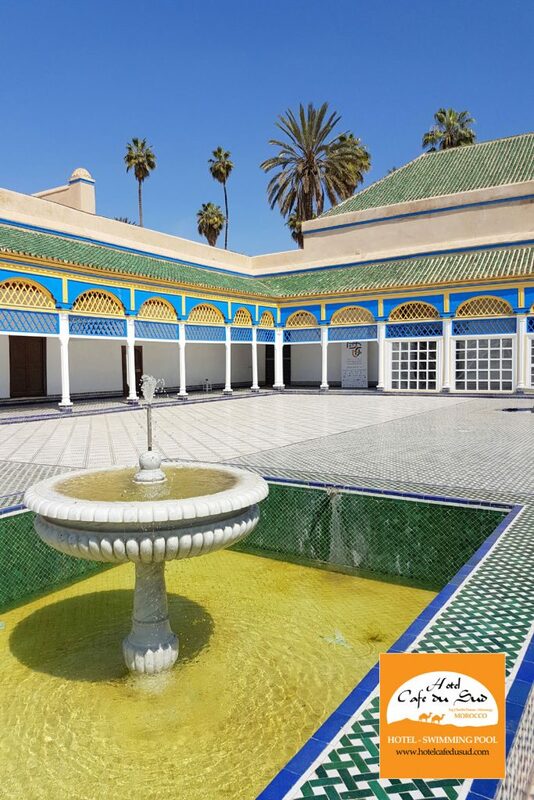 This tour in Morocco is the perfect journey to discover the Imperial Cities, where the past merges with the present and provides us with a real feast of sensations. 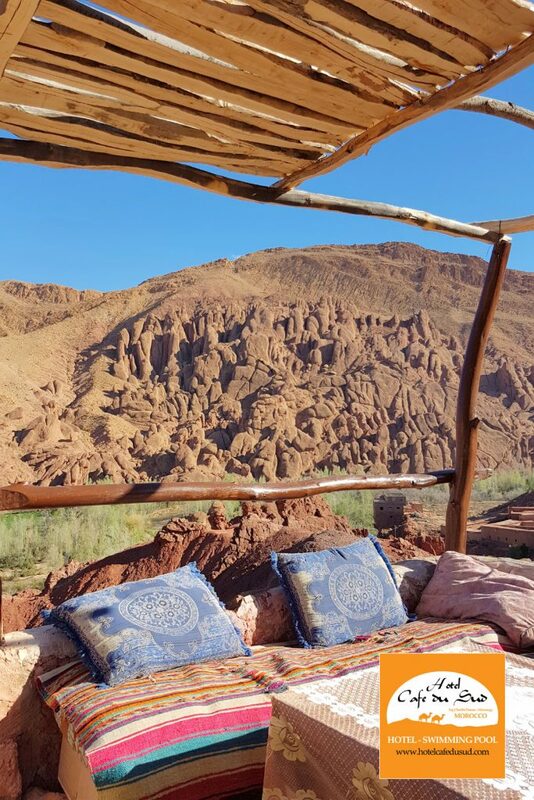 You will have time to visit cultural and historical sites, shopping in the Souks, sleep in charming Riads and experience the desert spending a night at our Bivouac in the Erg Chebbi Dunes. A perfect combination. 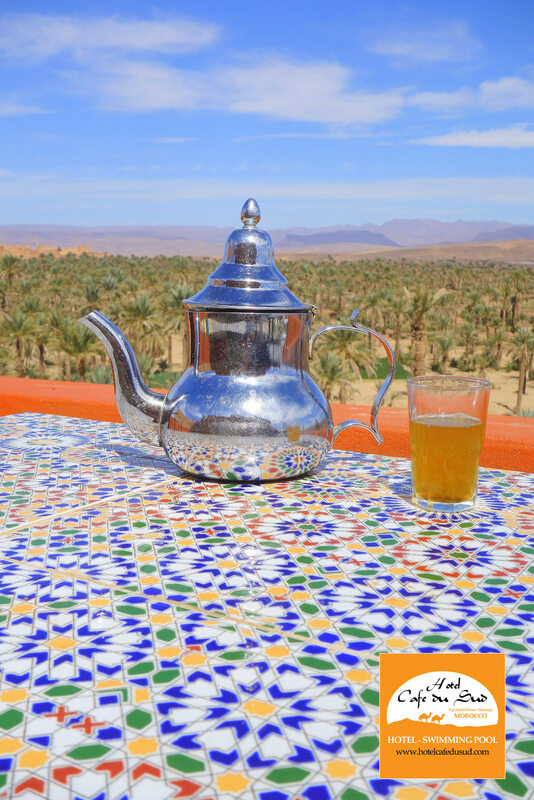 This Morocco tour departs from Marrakech, and you will travel into the magnificence of the desert. There, you will discover the charms of nights spent in Berber tents under the stars and thrilling camel trekking on the golden sand dunes. You will witness the splendor of the breathtaking scenery and will take home with your memories that you will never forget. 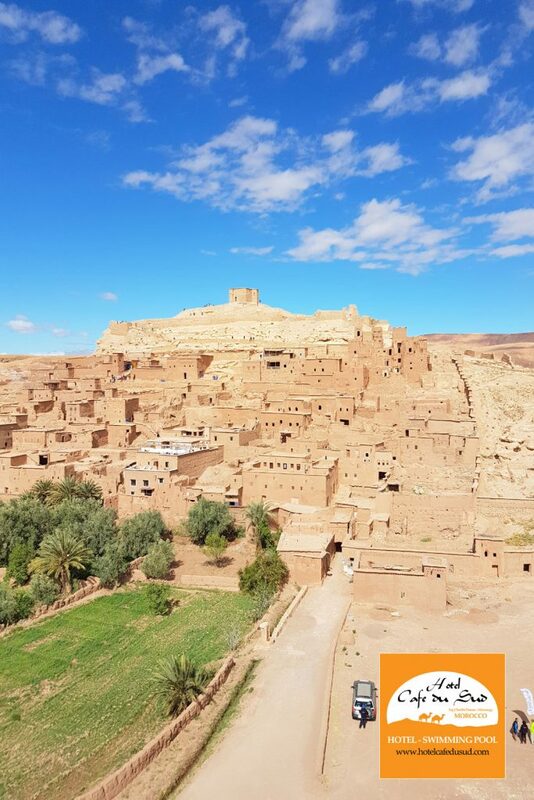 Discover this enchanting land of palm trees, kasbahs, and lush oases before visiting Ouarzazate, the “African Holywood”, its studios where many famous movies were filmed. This is a trip of contrasts, from the adventurers that want to experience nomad’s spirit in the Erg Chebbi Dunes. Marrakech, The Red City, its vibrant Souks and its emblematic Jemaa el Fnaa square. Crossing the High Atlas with a rugged landscape and traditional Berber villages. The beautiful Southern Morocco, the charismatic Ait Benhaddou and the Kasbah Route of Dades and Rose Valley. 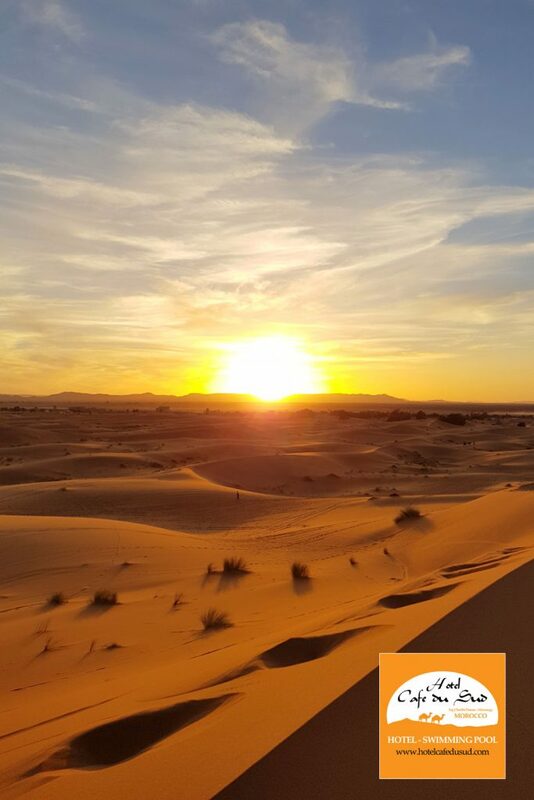 The Erg Chebbi Dunes, camel trekking, breathtaking sunsets and sunrises over the immense desert sands and nights in private nomad tented camps. The winding roads and of the Drâa Valley and its red earth Kasbahs. 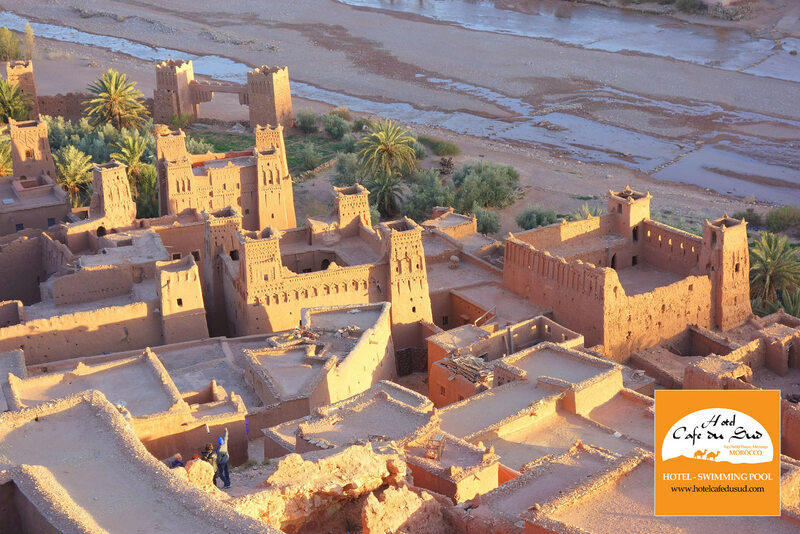 Visit Ouarzazate and its impressive studios and the Kasbah Ait Ben Haddou. This 4X4 desert tour departs from Marrakech, and you will travel into the magnificence of the wilderness. 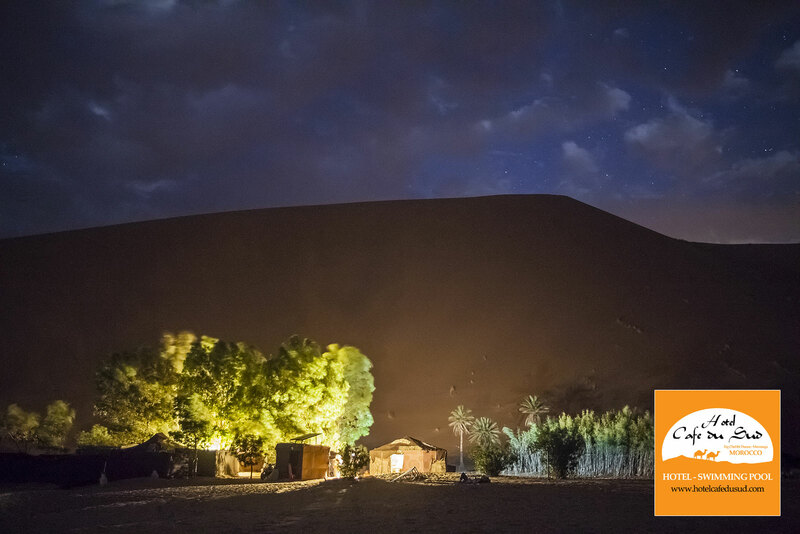 There, you will discover the charms of nights spent in Berber tents under the stars and thrilling camel trekking on the golden sand dunes. You will witness the magnificence of the breathtaking scenery and will take home with your memories that you will never forget. 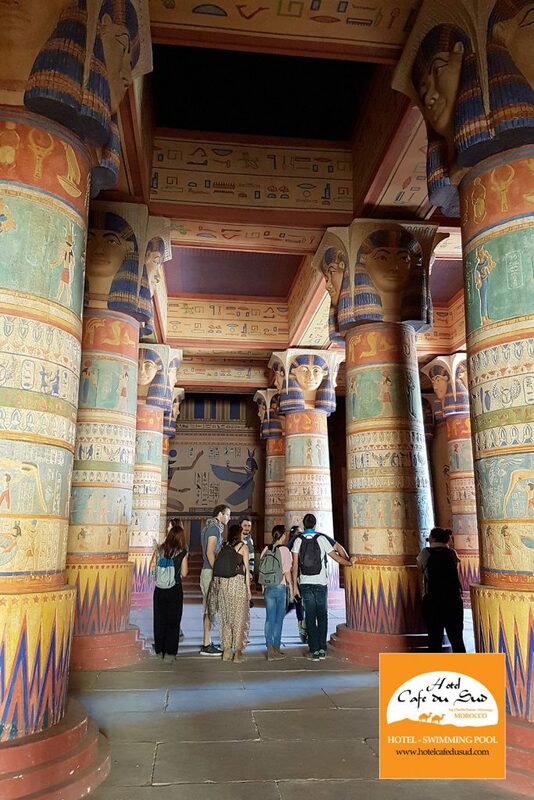 Discover this enchanting land of palm trees, kasbahs, and lush oases before visiting Ouarzazate, the “African Holywood,” its studios where many famous movies were filmed. 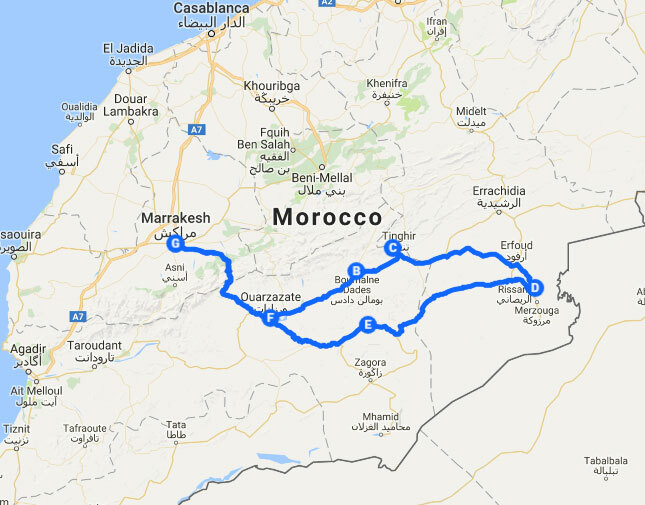 This is a tour of contrasts, from the adventurers that want to experience the solitude of the both deserts in Morocco, Erg Chebbi, and Erg Chegaga. The beautiful Southern Morocco, the charismatic Ait Ben Haddou and the Kasbah route of Dades and Rose Valley. 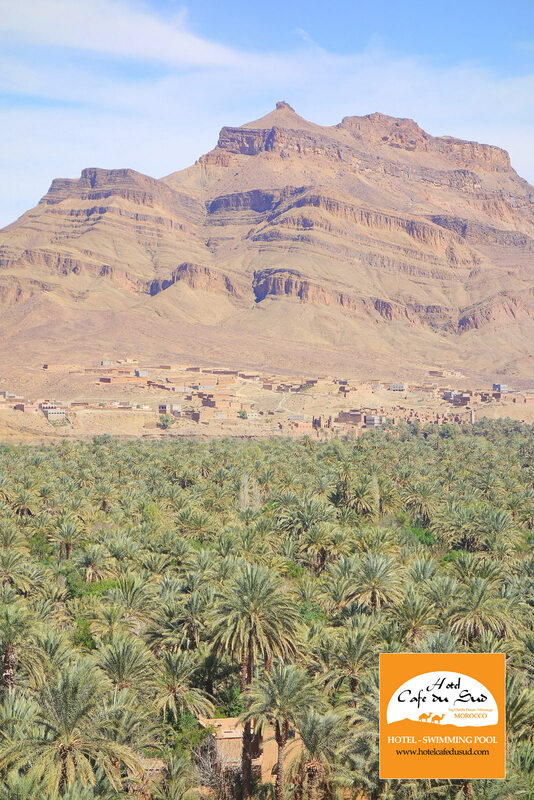 Zagora, a village imbued with mystery. Erg Chegaga, the bigger dunes in Morocco in extension, with more than 40 km length.